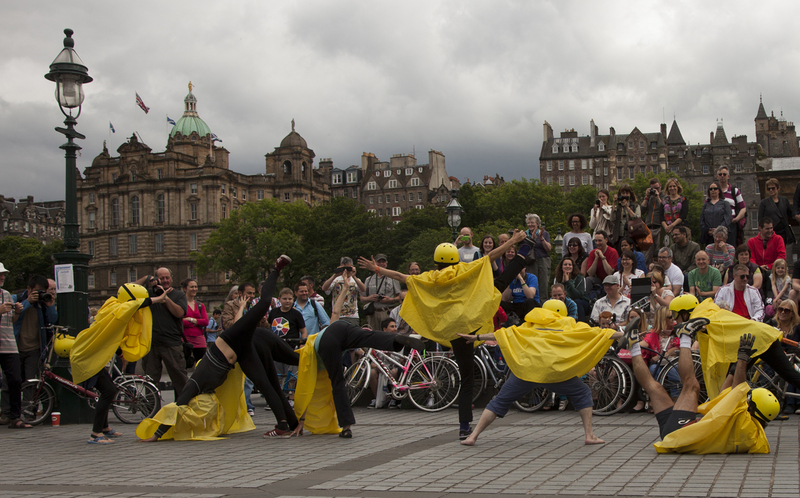 A two hour workshop model alongside performances to create a big flash mob-style impact at an event, festival or across a town & put the fun back into cycling. Participants will learn a few basic moves and some of the show’s choreographic structures. They will also learn how to create their own moves and short sequences, basic clowning/character, and how to work together safely & as part of the team. Participants will also develop their cycling skills & confidence, improve control of their bicycle, safety riding amongst traffic, & have the best fun doing so. 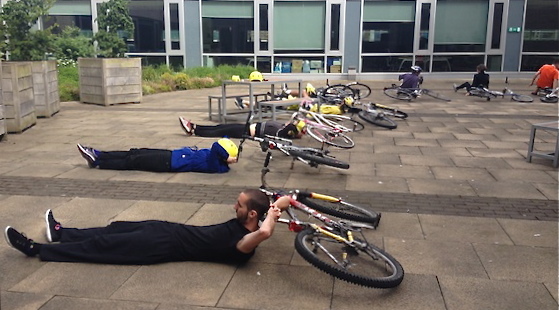 Some of our workshop materials have been incorporated in Bikeability programmes. 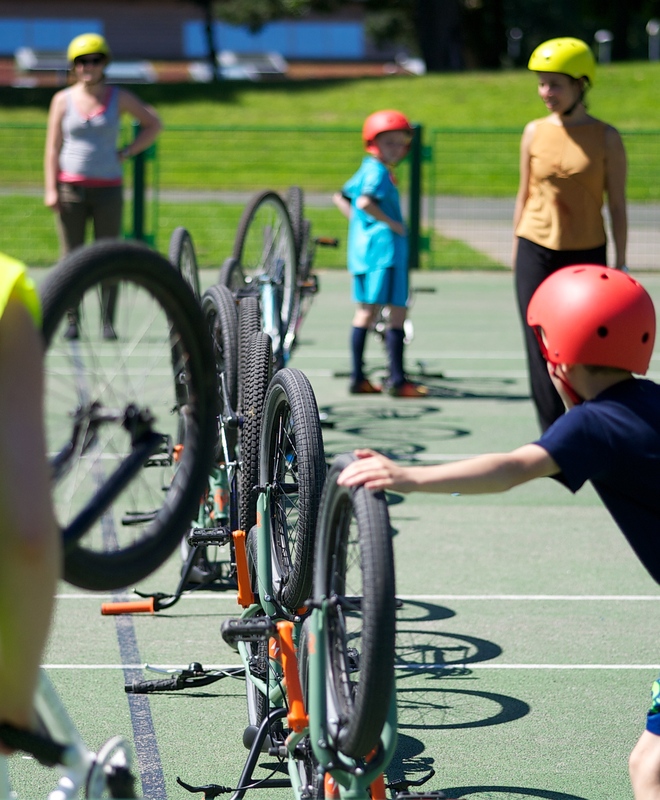 The workshop is open to all ages & abilities, with a level of cycling proficiency – Bikeability Level 2 is recommended. 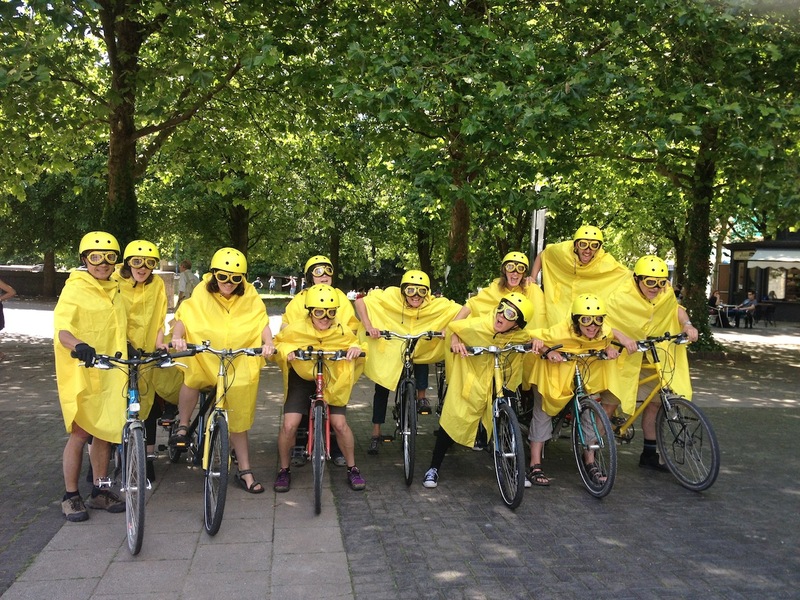 Participants are asked to wear black or dark trousers, tops & shoes, & the distinctive Strictly Cycling costume will be provided. 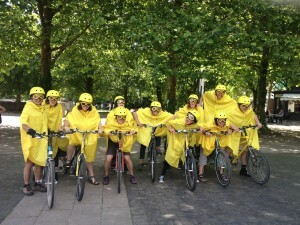 In 2014, the Bicycle Ballet Co created an Inside Strictly Cycling workshop working with visually impaired people & front riders on tandems for Bristol Cycle Festival. 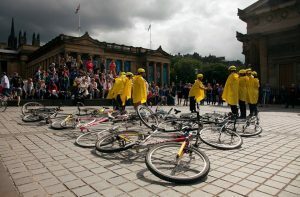 The project built on work developing the Everyday Hero show, with the emphasis was on fun & developing communication between riders to synchronise movement on each tandem & between tandems.